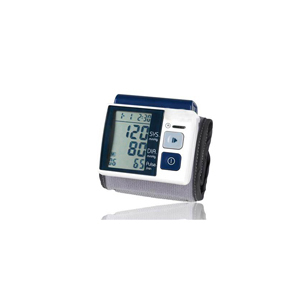 The CT-055 is a highly reliable automatic blood pressure device. 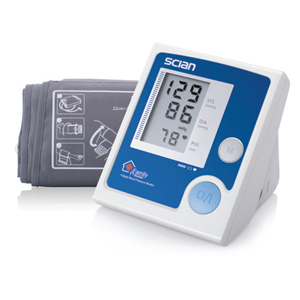 It has a pressure range of 0-300mmHg and a measurement range of 40-280mmHG with pulse reading of 30-160/minute. It has an accuracy of +/- 3mmHG on pressure. The CT-055 has an automatic inflation system and deflation system with a semiconductor pressure sensor. 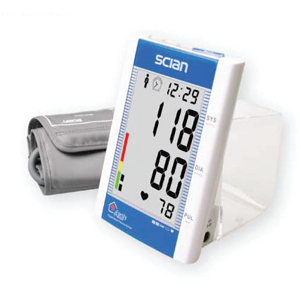 It has 99 memory, fast view year, month, day & time display all displayed on an easy to read large LDC screen. 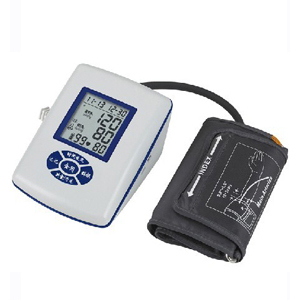 It has a 1 min auto shut off facility and warning heart signal [Pulse High(PH), Pulse Low(PL)]. It is powered by 2 AAA alkaline batteries.